Two insanely dangerous consequences result from raising efficiency to the level of an independent principle. First, it favors short-term thinking – no looking ahead, down the line; and it produces insensitive feeling – no looking around at the life values being lived so efficiently. Second, means become ends; that is, doing something becomes the full justification of doing regardless of what you do. Operational phrases in business life such as “just do it,” “get it done,” “don’t ask questions,” “not excuses, results!” are telltale signs of the efficiency principle beginning to separate from its cohorts and set off on its own. The ethical confusions now plaguing business, government, and the professions, although having many varied sources, result in part from the pressures of efficiency as a value in and for itself. Then, curiously, Aristotle’s other principles seem to return from repressive exclusion only to sabotage efficiency. Inefficiency becomes a favorite mode of rebellion against the tyranny of efficiency: slowdown, work-to-rule, buck-passing, absenteeism, delayed responses, mislaid documents, unreturned phone calls. Ethical protest against the tyranny of efficiency employ these modes of inefficiency. It is as if in the name of being a good citizen with concern for the wider implications of a job, one must become a “bad” worker. This entry was posted on	May 5, 2014 at 9:21 am	and is filed under quote of the day. You could fill one of those little inspirational books with 1 quote a day of just Hillman quotes a day. 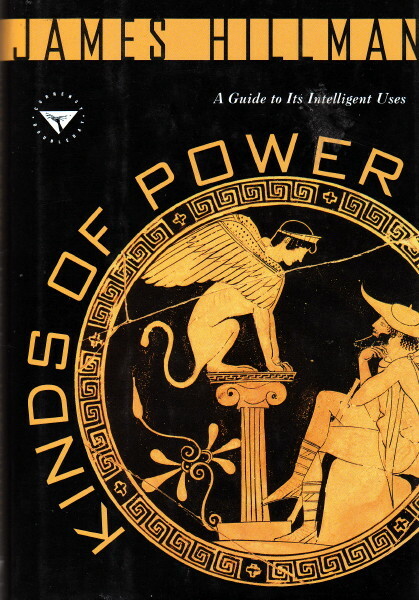 “Kinds of Power” is one of my favorite Hillman books. I’m reading KINDS OF POWER now, as part of my morning meditation practice. Hillman is one of my all-time heroes. I can definitely understand how Hillman could inspire such practice. How were you introduced to him? And have you ever read any David L Miller? I read one of David Miller’s books, can’t remember which, and met him at a conference devoted to Hillman at Nortre Dame University.